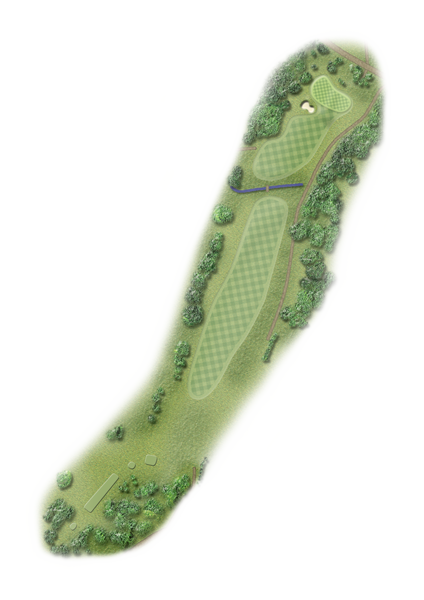 This is a tough par four, with the tee shot made for a slight draw. Uphill second shot has to cross a ditch that will catch the stray shot. Interesting green slopes from right to left.